harsh chemicals or additives. Safe to use every day. 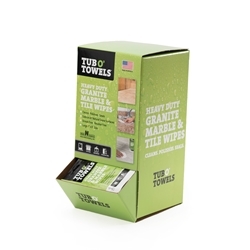 SAFE for marble, granite, quartz, travertine, limestone, onyx, Corian®, Formica®, Silestone®, laminate, porcelain, tile, ceramic, fiberglass, and any non-porous hard surface counter top. STREAK-FREE, residue-free formula cleans without abrasives. Contains no phosphates. PROTECTS SURFACE from future soils and staining. WILL NOT DISCOLOR sealed grout.